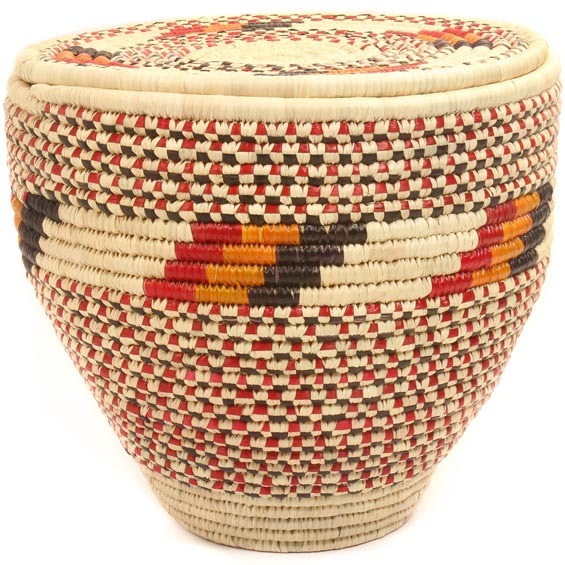 Hand woven by Nubian people of Darfur, this beautiful African cannister-shaped basket has a flat disk lid that rests on top. 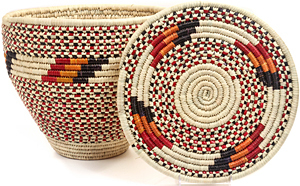 These cannister baskets feature distinctive bright colors and intricate patterns. The palm leaves give a sheen to the surface of the baskets.